Can’t make the forum? Email us your questions for Roth: staff(at)wesleying(dot)org. If the Wesleying coverage, Argus editorials, WSA moves, and general campus discourse come to anything, it’s this: the debate surrounding Wesleyan’s decision to scale back need-blind is among the fiercest in recent memory. Wesward, the online organizational hub, has even compiled a page of links for need-blind. I haven’t seen such an ongoing flurry of campus activism since the bygone days of Betagate. If our current weekly poll is any indication, I’m not sure I’ve seen such a divisive Wes controversy ever. Since May, Wesleying has been (and will continue to be) instrumental in facilitating these discussions. But sometimes the best conversations take place off the Internet. (It’s kind of weird for us to wrap our heads around.) And sometimes it’s nice to get your point across to Michael Roth ’78 in a venue other than his blog’s comments (though those can be great, too) and reddit AMAs. When some fellow students, including A-Batte, and I met with the president during Senior Week last spring, he even offered to participate in a live forum. So it comes to this. On Monday, in PAC 002, Wesleying will host its first ever forum: an open conversation with President Roth about Wesleyan’s need-blind policy shift and affordability plans. If you’ve got questions or concerns to pose to Roth, this is the place to voice them. We’ve booked a larger space than last year’s Affordability Forum, and our goal is to fill it. 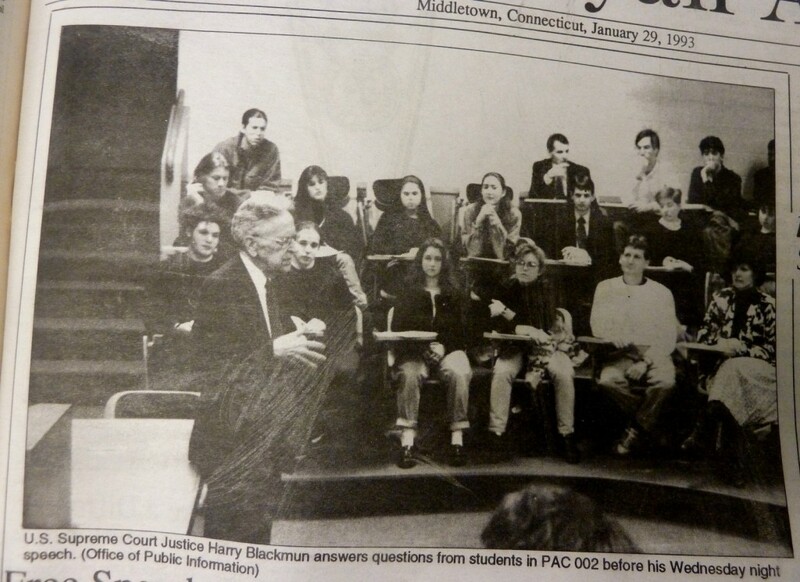 Let’s make this the biggest event in PAC 002 since Justice Blackmun rocked the house in 1993. In typical blogging fashion, Wesleying will be livestreaming and liveblogging the event on Monday night. Can’t make it, but still want your question answered? Send it to us at staff(at)wesleying(dot)org. Put “Question for Roth” in the subject line. We’ll be including a handful of emailed questions in the program. Posted by Zach in Administration, Admissions, Causes, Events, Featured and tagged admissions, financial aid, forum, michael roth, money, need blind, President Roth, the first ever wesleying forum, wesleying forum on September 22, 2012 at 2:55 PM.